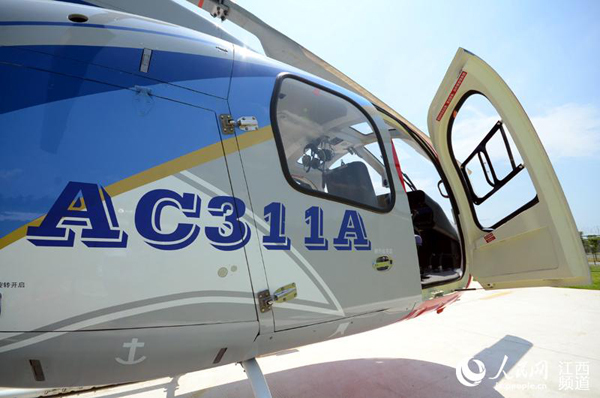 China's newly-developed AC311A light utility helicopter has entered the plateau flight phase, according to the state-owned Aviation Industry Corporation of China (AVIC) Wednesday. The two-tonne-level new helicopter model is undergoing flight tests at the Qinghai Yushu Airport in northwest China's Qinghai Province, located at an altitude of 4,000 meters, said AVIC. Developed by Avicopter under AVIC, the AC311A is now undergoing multiple flight tests, such as the near-ground-maneuvering and hovering, with an aim to thoroughly test its capacities of anti-sidewind and sand-prevention at various altitudes. The model will continue flight tests at various plateau airports with altitudes ranging from 2,000 to 4,000 meters. Based on the AC311 light helicopter, the AC311A has an upgraded high power engine and an integrated avionics system. It was designed and developed by Avicopter, the helicopter division of the AVIC. The model meets China's surging demands in the general aviation sector such as border patrol, law enforcement, rescue and relief missions and forest firefighting. Avicopter is now among the world's leading helicopter manufacturers with more than 50 models in 12 series.